When considering a renovation project, lighting schemes are extremely important. 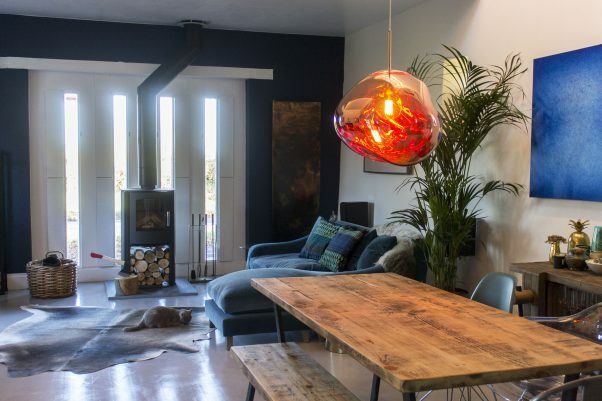 If considered early on in the project, lighting can make a real difference to the final look and feel, however it is often an afterthought and planned too late into the project to create a unique and ambient space. The aim of ambient lighting is to create a good distribution of light within a space, without glare. Its good to think about this type of lighting early on in the project, because ideas such as some clever recess lighting may effect how the ceiling and walls will be configured. Ambient lighting includes all sorts of light fittings, so you’ll also need to think about how many lights might be appropriate for the size of the space. For example, how many spotlights will be sufficient to light a space? If its a large space, would it be preferable to be able to switch some lights on at one time, as well as being able to switch them all on? You will also want to consider the colour of the light – we think a warm white light is normally the most complementary and softer on the eyes, than a cool white light. Task lighting is exactly as it sounds – lighting positioned to help you carry out your day to day tasks. For example, spotlights or pendant lights lining kitchen worktops, under cabinet lights, or a light positioned over a mirror in the bathroom. You can be as creative as you like with task lighting, but the main purpose is to make sure it is practical and positioned correctly for the tasks you need to carry out. 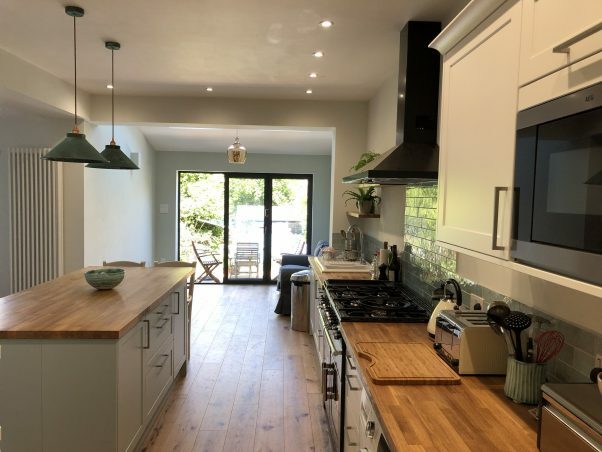 Here you can see spotlights are positioned around the outside of the room, along kitchen worktops and decorative pendants are used to light the island and living space. Accent lighting can be used to highlight particular areas or objects and can create a dramatic affect. Think of something you may want to stand out such as a drinks cabinet or shelving unit, a house plant, a piece of art or installation. Various lights can be used to incorporate accent lighting from something as simple as a carefully positioned plug-in mobile light fitting to strip LED lighting. Once you’ve figured out the types of lighting to incorporate you’ll want to look at the light fittings needed for the 2nd fix electrics. You may want to consider these to be bold, statement pieces for a finishing touch. This could be a large ceiling pendant or a fitting in a colour that adds a striking contrast to the rest of the room. 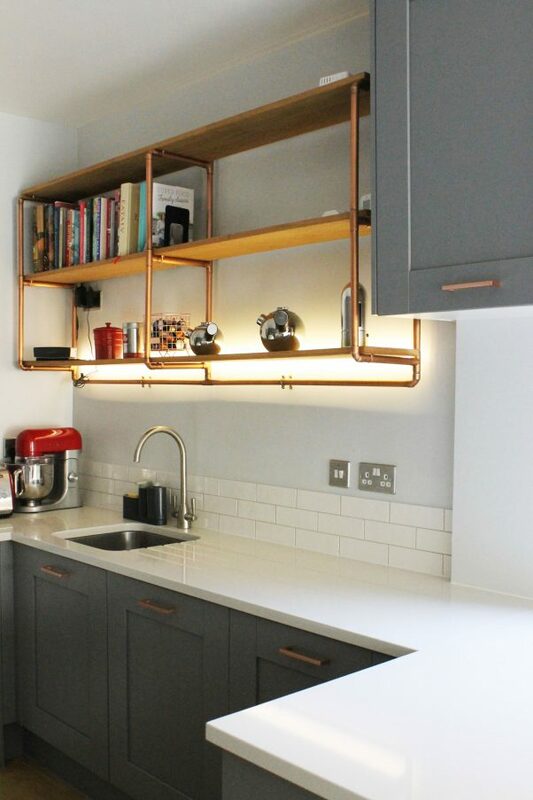 You may want more than one of these fittings hanging over your dining table so figuring out the size of them and how many fittings may be appropriate also should be taken into account. 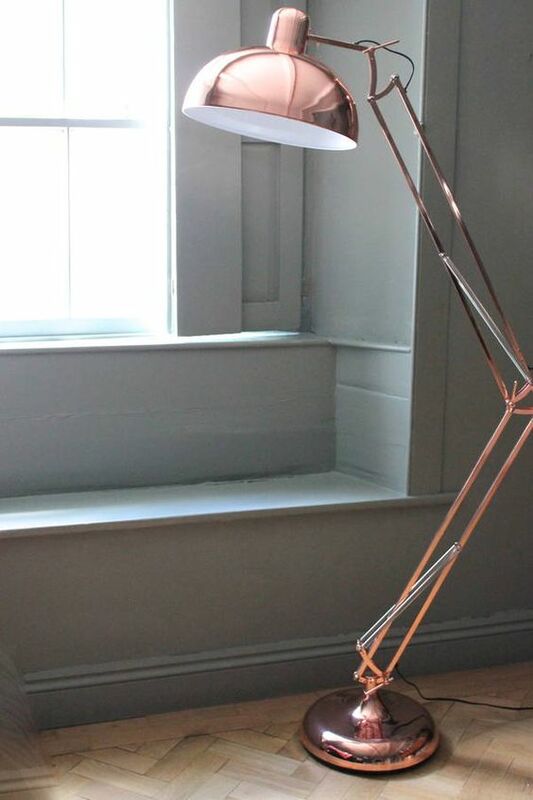 Lamps can also be statement pieces and add a further finishing touch to a room. 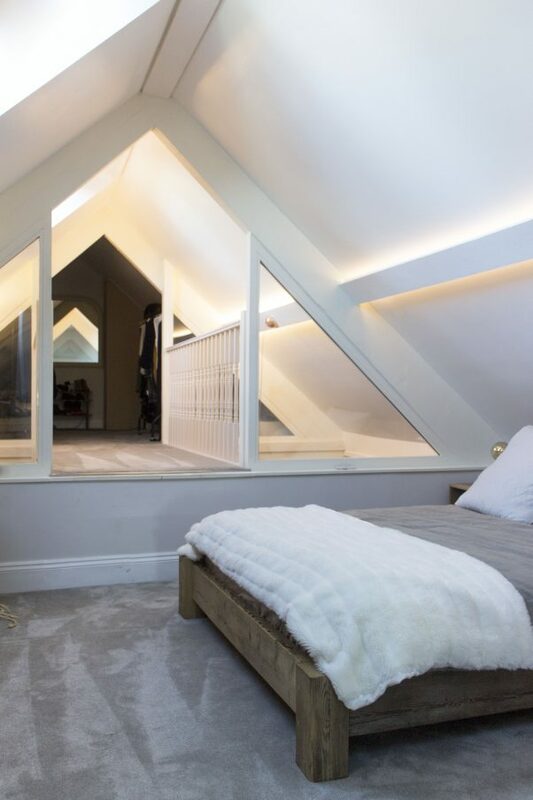 Although you can add lamps to lighting schemes at the end of the renovation, its worth thinking about early on where you will want to position them in the room, to ensure you have a sufficient amount of power points in the right places. Lighting from lamps are important to create a cosy feel when you don’t need overhead lights. They can also be used as task lights, for example a lamp directed over a desk or a hobby chair. There are plenty of points to think about when considering the control of lighting schemes: from simple dimmer switches, timers and occupancy sensor lighting to the more advanced smart, wireless control systems you can install and control from your mobile phone. Do some online research before the project starts or talk to a lighting designer to find out what best fits your needs so you’re prepared at each step of the project with your requirements. We hope this information helps you to start planning your lighting to fit in around your own project. So if you haven’t already, contact Renovate today to see how they can help you with your renovation.